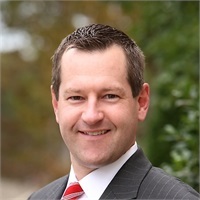 Jeff graduated from Boston College and Oxford University in 1997 with a BA in Economics and has been in the financial services industry since then. He began his employment with a trading firm in Jersey City where he worked as an equity trader for six years. He made the transition to financial planning in 2003 in order to work in a field that enables him to have a substantial impact on people's lives. In 2003 he attended NYU where he successfully completed his CFP (R) designation. He currently resides in Farmingdale with his wife Noelle and their three children where they enjoy running and spending time at the shore.